MIAMI, FL, January 31, 2018 — “Converting Spending Into Earning” (a/k/a The Shopping Annuity) is the predominant message that Market America|SHOP.COM will deliver to approximately 25,000 eager entrepreneurs at its 2018 World Conference & 25th Anniversary Celebration. 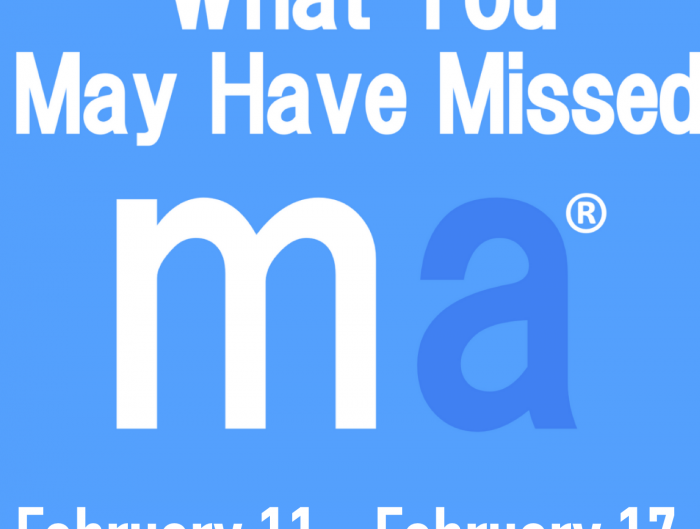 This year’s event, to be held February 1st through 3rd at the American Airlines Arena in Miami, FL, will showcase the latest developments in Market America|SHOP.COM’s high-tech, high-touch approach to retailing and e-commerce. The event will also highlight the company’s meteoric rise over the past 25 years from its austere beginnings in its home town of Greensboro, North Carolina. During Ridinger’s multiple presentations at the event, he will convey the latest enhancements to the Shopping Annuity program and how its rapid adoption in the marketplace is improving thousands of lives. Ridinger will also unveil several new “Shopping Annuity” branded products that include a whitening toothpaste and razors for men and women – all daily essential products that virtually everyone not only uses but needs as part of their daily routine. These products are all designed to simplify the ability to reap the benefits of the company’s Shopping Annuity program. 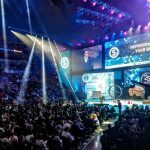 The event will also feature the Market America|SHOP.COM executive team, successful entrepreneurs from at least 10 countries and celebrity guests, including Fat Joe, La La Anthony and Scottie Pippen. Previous events have been attended by superstars Jamie Foxx, Jennifer Lopez, Alicia Keys, Eva Longoria, Serena Williams, Alejandro Sanz, Kim Kardashian, Khloe Kardashian, Gloria and Emilio Estefan, Tony Romo, Swizz Beatz, Paulina Rubio and Marc Anthony, among many others. Additional surprise celebrity appearances are expected this week. Loren Ridinger, Senior Executive Vice President of Market America|SHOP.COM, will open the three-day event with a powerful address followed by additional presentations wherein she will use her vast experience as one of today’s most influential entrepreneurs and trendsetters to help attendees define their ‘why’ and develop the passion necessary to reach their goals, succeed and live The American Dream. Loren is well known for wooing crowds with her powerful messages about self-empowerment and taking control of your life. “For this World Conference, I am very excited to demonstrate how important it is for people to overcome their fears” said Loren. “To do this, people must be brutally honest with themselves and have deep inner conversations. This self-exploration helps people to understand why they have not made progress or achieved their dreams. So often, a person’s greatest fear is themself. If you can convince yourself to confront and overcome your fears, you’re on the path to victory” continued Loren. “If there is no enemy within, there is no enemy outside who can harm you, period” said Loren. The award-winning Motives by Loren Ridinger cosmetics line — created by Loren Ridinger — is anxiously awaiting the launch of its new Spring/Summer 2018 “Bloom” campaign. This collection features a palette dominated by fresh spring colors to start the season; it also plays on the double entendre of having your life and business bloom and flourish to the next level. The focus is on fresh, feminine yet vibrant colors. “The goal of this campaign is to focus on this season of your life that will offer a fresh perspective and open new doors of growth while empowering you to pursue your passions with vigor” said Loren. These newest products will be available for purchase exclusively at SHOP.COM and motivescosmetics.com. Loren’s ongoing collaboration with actress and entrepreneur La La Anthony in the creation of Motives for La La will also be featured with La La on hand to discuss “How to Engage Your Motives Customers.” “Primarily via social media, the Motives team has been able to combine our passion for and expertise in beauty to best serve our customers’ needs. The growth and success of Motives has been truly gratifying,” said Ridinger. 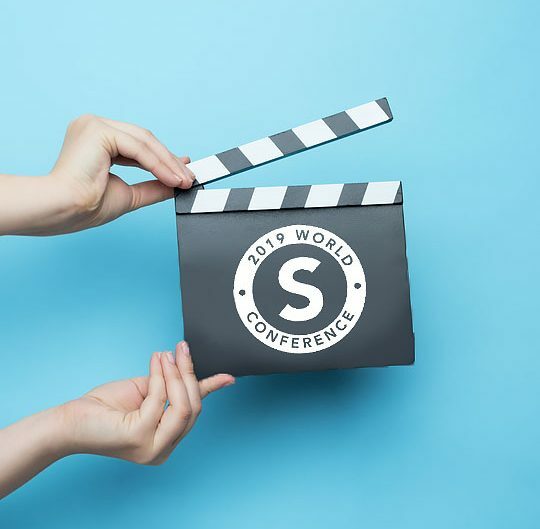 Exciting new announcements will headline this year’s event, including enhancements to SHOP.COM’s shopping website that will be introduced and discussed in detail by Market America|SHOP.COM President & COO Marc Ashley. Marc will be presenting a 2-part presentation that details why Market America|SHOP.COM is “The Total Package” for entrepreneurs and savvy shoppers. The company will also announce several enhancements to SHOP.COM including the newest and most cutting edge version of its digital deals assistant — SHOPBuddy, additional participating merchants in its SHOP Local program, as well as some great new user-friendly enhancements to make the user experience even better. DNA Miracles™ and DNA Miracles Natural, created by Amber Ridinger-McLaughlin and Duane McLaughlin, provide the highest quality body and wellness products designed for babies, children and expectant mothers. Duane and Amber will deliver a presentation entitled “Love Your Little Ones with DNA Miracles” that will detail the extensive work and product development that they put into the DNA product lines. Recently launched products include: DNA Miracles Natural Kids Shampoo + Body Wash, DNA Miracles Natural Kids Conditioner, DNA Miracles Natural Kids Bubble Bath, DNA Miracles Natural Kids Detangler and DNA Miracles Natural Kids Lotion. The company has partnered with leading health professionals and scientists who follow the highest standards in ingredient selection to create the most effective skin, hair and health solutions. Grammy-nominated artist and entrepreneur Joseph “Fat Joe” Cartagena, the company’s President of Urban and Latino Development, will be on hand to convey the excitement and explosive growth within that market sector. He will discuss Market America|SHOP.COM’s core value of living a life that is “All the Way Up” in a presentation bearing the name of his hit single. Market America|SHOP.COM Executive Vice President Dennis Franks, who formerly played in the NFL for the Philadelphia Eagles, will be on hand with his former teammate and co-author Vince Papale (portrayed by Mark Wahlberg in the 2006 film “Invincible”) to unveil and promote their new book, “The Last Laugh: Vision To Victory.” The book is full of anecdotes from their NFL years together as well as several real world and business anecdotes that equally apply. For up-to-the minute World Conference updates, visit the Market America blog (http://blog.marketamerica.com) or follow the conversation on Facebook (http://www.facebook.com/marketamerica; http://www.facebook.com/shop.com) and Twitter (http://www.twitter.com/marketamerica; http://www.twitter.com/shopcom; or search #MAWC2018). 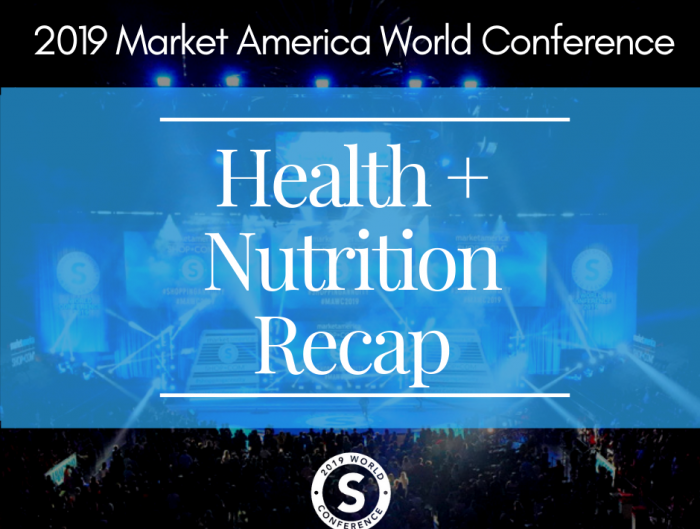 Currently in its 25th anniversary year, Market America, Inc. is a product brokerage and Internet marketing company that specializes in One-to-One Marketing. Its mission is to provide a robust business system for entrepreneurs, while providing consumers a better way to shop. Headquartered in Greensboro, NC, the company was founded in 1992 by Chairman and CEO JR Ridinger and has generated over $8 billion in accumulated sales. Market America employs nearly 1,000 people globally with operations in the United States, Canada, Mexico, Taiwan, Hong Kong, Singapore, Australia, United Kingdom, Spain and Malaysia. Through the company’s shopping website, SHOP.COM, consumers have access to over 60 million products, including Market America exclusive brands and thousands of top retail brands. Market America’s revolutionary Shopping Annuity program, which helps smart shoppers convert spending into earning, is an extraordinary and financially meaningful benefit of the business. Internet Retailer has ranked SHOP.COM #66 in the 2017 Internet Retailer Top 500 Guide, the #43 largest global online marketplace and the 18th fastest growing Internet Mobile Retailer. By combining Market America’s entrepreneurial business model with SHOP.COM’s powerful comparative shopping engine, Cashback program, Hot Deals, SHOPBuddy™, Express Pay check out, social shopping integration and countless other features, the company has become the ultimate online shopping destination.